The dreaded Wooden Spoon is the prize that no club, nor its supporters ever wants to win. 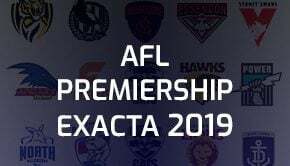 Which two teams will make to the big day & play off in the AFL Grand Final in 2019? Get the best odds & predictions here now to place your winning bet.